On this day of Reconciliation we celebrate our shared journey as a diverse South African nation, dedicated to overcoming the divisions of our past and to building a future in which we all can thrive. Non-photometric night with relatively decent seeing. Others: Enrico, Marissa and Thabelo. The seeing was good tonight, although there was a lot of thin cirrus about and the humidity forced us to close at 2am. Others: Timmy, Jonathan, Keith, Thabelo. Hitesh remotely. Too humid tonight - could not open. Took some close dome calibrations and ran a few engineering tests instead. Others: Ana, Liam, Simon W. and Steve. Timmy and Hitesh for the alignment troubles. Others: Ana, Liam, Simon W. Timmy and Thabelo to help with a wayward mirror segment. Others: Paul, Encarni, Christian, Veronica, Simon W.
Another excellent and productive night, great seeing and clear all along. Happy 98th Independence Day Finland! temperature jumps ruined alignments and at least one observation. A stunning night in Sutherland! Summer's well on its way so we've had a few really gorgeous nights during the past week! 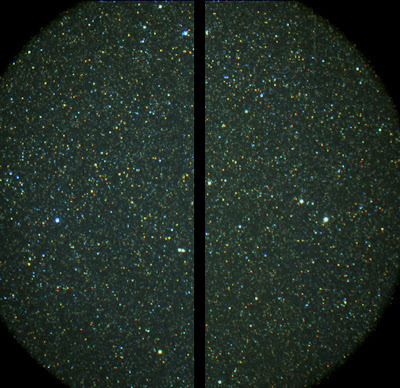 While observing dwarf novae in the Large Magellanic Cloud last night, Petri & Fred snagged a set of images through 3 of the Sloan filters (u, g & r). Combining these has produced one of SALT's most beautiful colour-composite images to date. 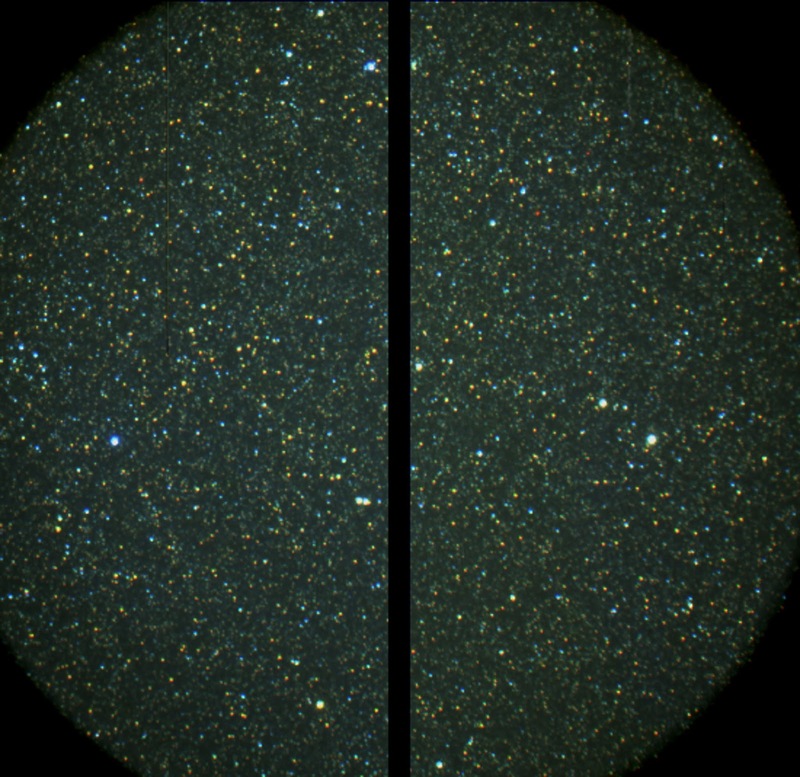 The combination of 1" seeing & a freshly stacked primary shows what the telescope's capable of under good conditions. If only Darragh could see this kind of image quality! - Cloudy weather prevented us from obtaining any data tonight. - Had a very productive night in good weather conditions. Some technical issues crept in at the end of the night.